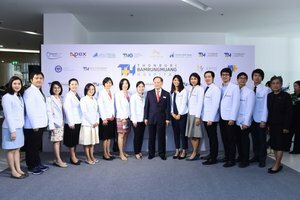 To further establish a foothold in the health care market, Thonburi Healthcare Group (THG) has launched Thonburi Bamrungmuang Hospital, a THB4 bn (USD128 mn) investment that it said will become a specialised health care centre with a six-star standard of personalised care, equipped with a team of experienced specialists and a comprehensive array of medical technology. The group said its latest medical centre will not only address the rise of health consciousness and ageing society but also cater to medical tourists, which in turn supports the government’s policy of establishing Thailand as a medical hub. Dr Boon Vanasin, chairman of Thonburi Healthcare Group, stated that the current health care and wellness trends see more demand in comprehensive health care centres as consumers are seeking service quality, speed, medical care and consultation by specialists, as well as a comprehensive range of advanced medical technology.